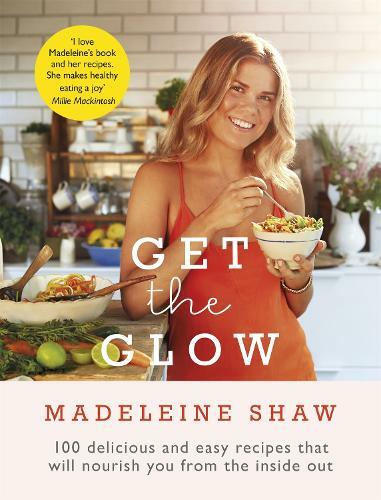 In Get The Glow nutritional health coach to the stars Madeleine Shaw shows you that eating well can easily become a way of life, resulting in the hottest, healthiest and happiest you. Healthy eating shouldn't be about fad diets, starvation or deprivation. Instead, Madeleine's philosophy is simple: ditch the junk and eat foods that heal your gut so you can shine from head to toe and really get the glow. Lavishly illustrated with sumptuous photography, Get The Glow is a cookbook to be savoured. Madeleine shares 100 delicious, wheat- and sugar-free recipes bursting with flavour and nutritional value leaving you feeling full and nourished. Every mouth-watering dish is easy to make, contains ingredients that can be found in your local supermarket and won't break the budget. You'll lose weight, feel healthier and will glow on the inside and out. Including a six-week plan and advice on kitchen cupboard essentials and eating out, Madeleine's down-to-earth and practical guidance will help you to embrace Get The Glow as a lifestyle for good. This book will inspire you to fall back in love with food, life, and yourself.